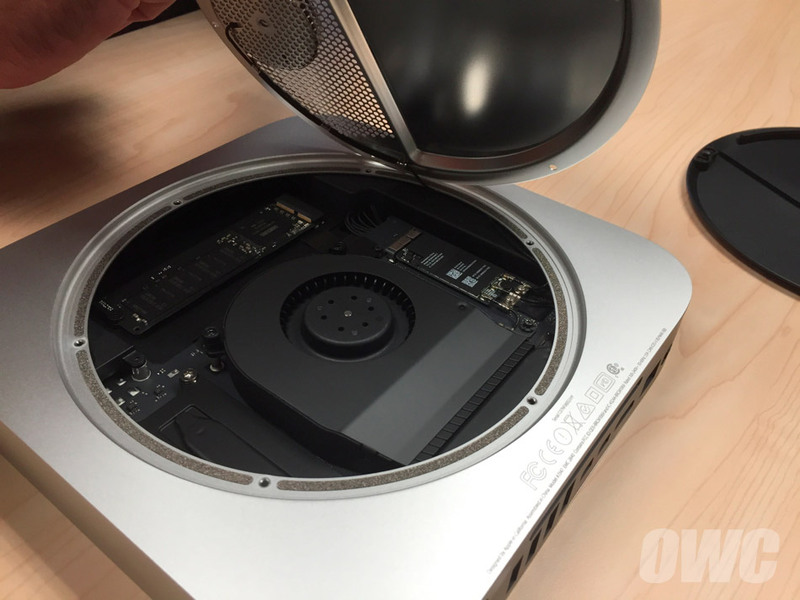 The last time we saw an upgrade to the Mac mini prior to Apple’s special event last week was October 2012. So what did Apple have in store after 24 months for its smallest and least expensive entry in the Mac lineup? 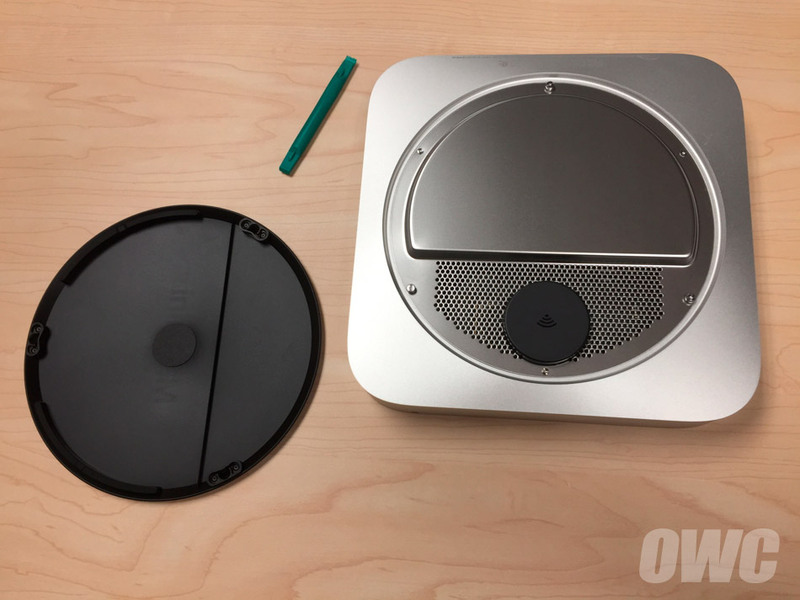 Check out the gallery from our teardown at the bottom of the page for details and see to the new Mac mini inside and out. 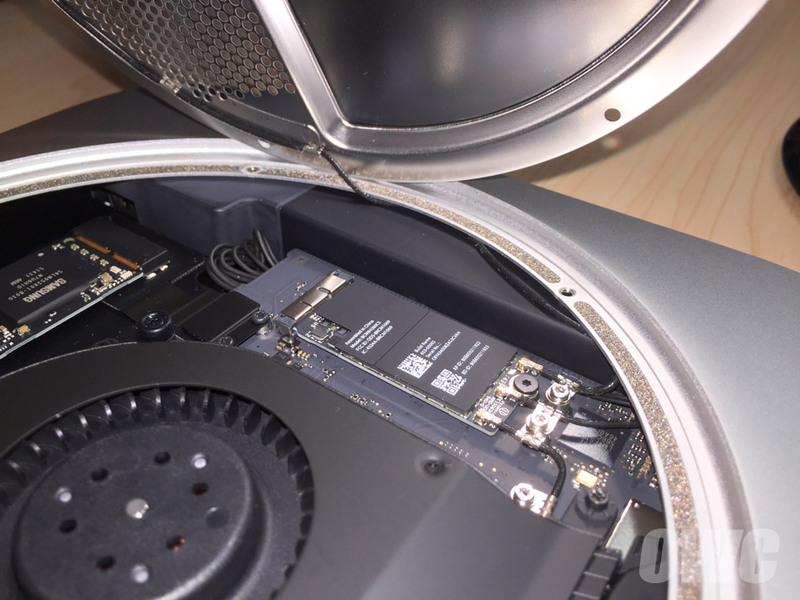 The model we unboxed utilizes a PCIe SSD, which is the same as the SSD found in the Late 2013-current MacBook Pro with Retina display, 2013-current MacBook Air and 2013-current iMac. 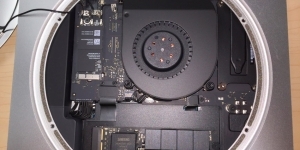 The PCIe slot and connecting cable are not present unless you order the mini with a Fusion drive or PCIe SSD. 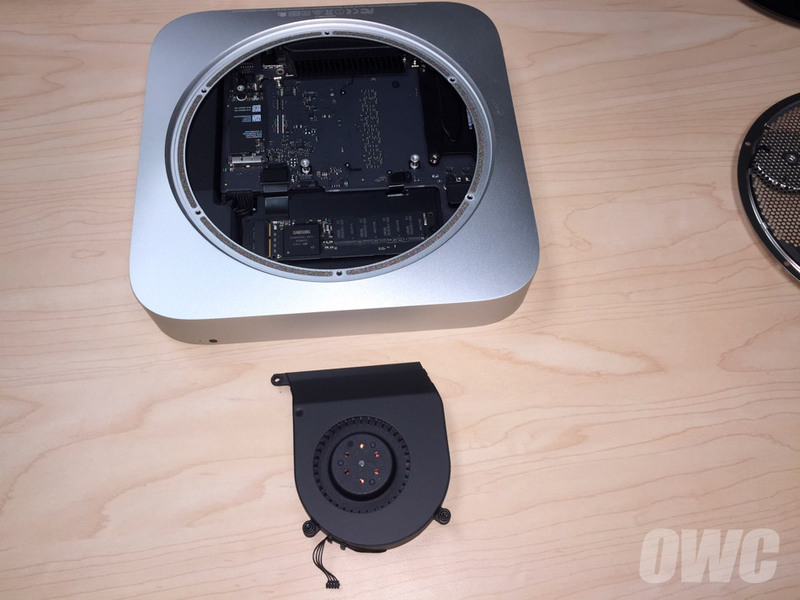 For minis without a Fusion Drive there won’t be a slot for the PCIe SSD. 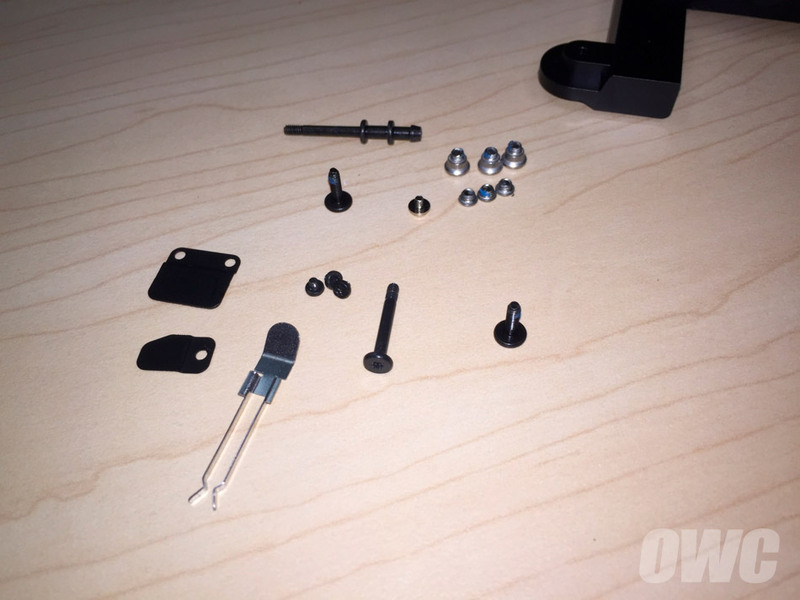 Requires a T6 Torx Security screwdriver for disassembly. Also noteworthy, of course, are the Thunderbolt 2 ports. 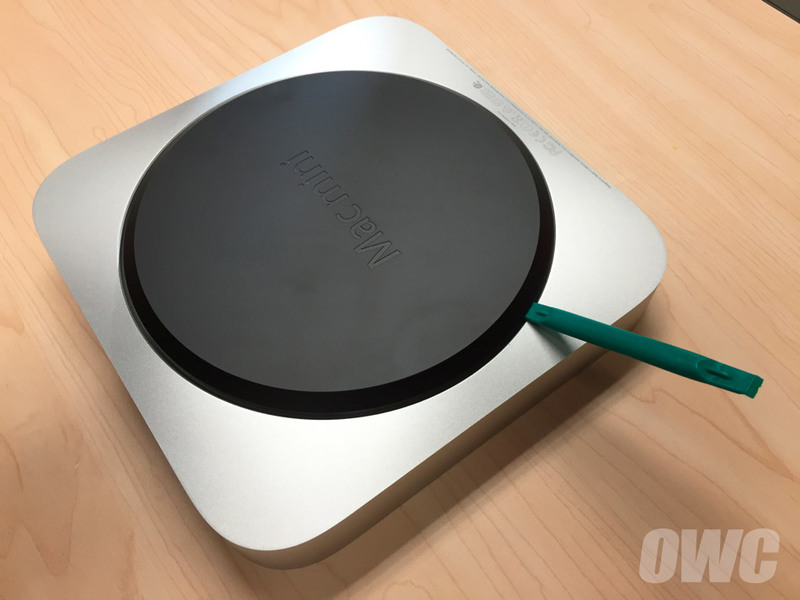 Which will work great with Thunderbolt or Thunderbolt 2 devices. 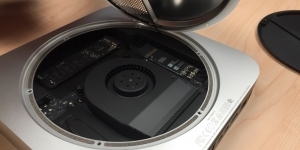 The memory is not upgradable in the 2014 Mac mini. 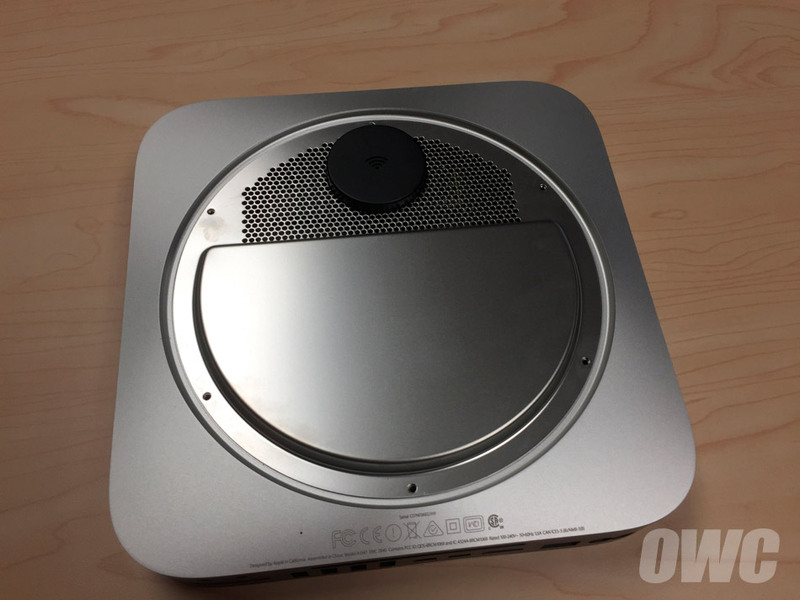 Be sure to follow the Rocket Yard for more coverage, tips, and tricks for getting the most out of the new Mac mini. And check out macsales.com for the best Thunderbolt, Blu-ray/DVD/CD drives, and USB 3.0 drives for your system. 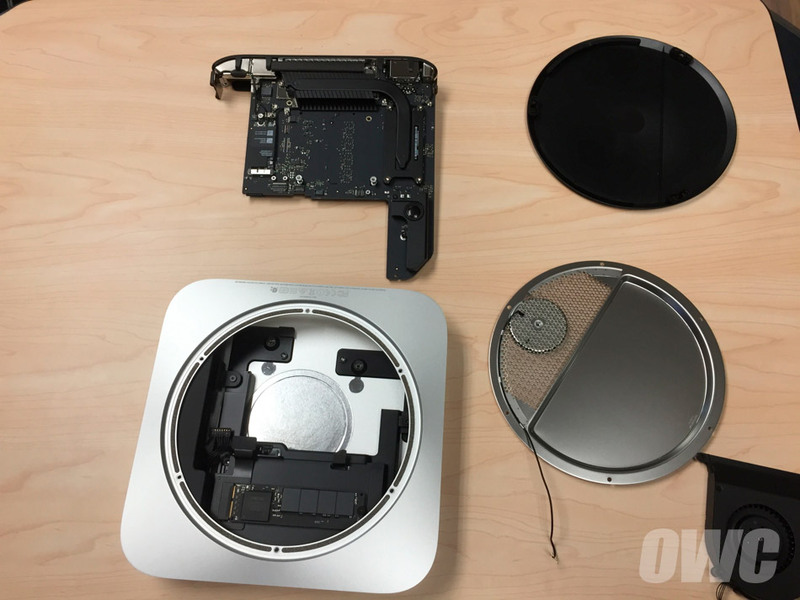 We also unboxed and performed a teardown of the new iMac with Retina 5K display. 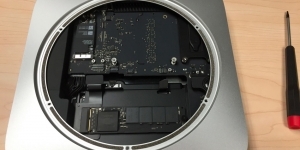 what is the part number of the flex cable for the hard drive for a 2014 mini. 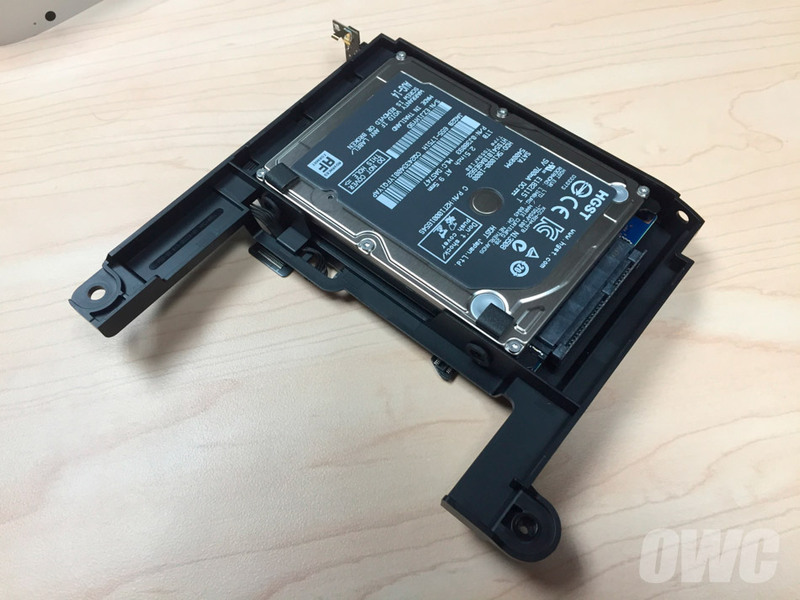 What parts if any are needed to add a SATA drive to the SSD only 2014 mini ? 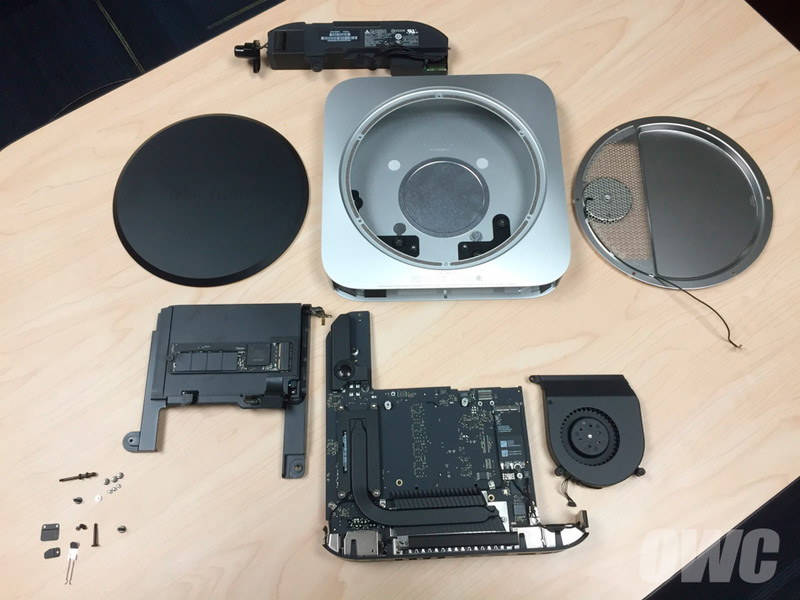 There will not be any extra parts needed if you have an SSD in it. If you have any further questions, please contact our Technical Support Team! Wonder if the pic-e connection is v2.0 x2 or x4? My guess is x2. Doubt very seriously its pic-e v3.0 x2 or x4. 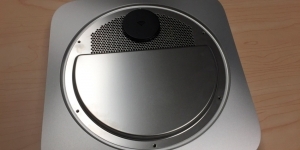 Does any current Mac have pic-e v3.0 ? Can you tell me what the boot time is for this Mini? 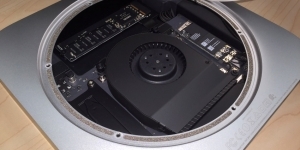 If I bought the model with the upgrade to 1TB SSD, would there be a vacant SATA slot available to add an HDD? 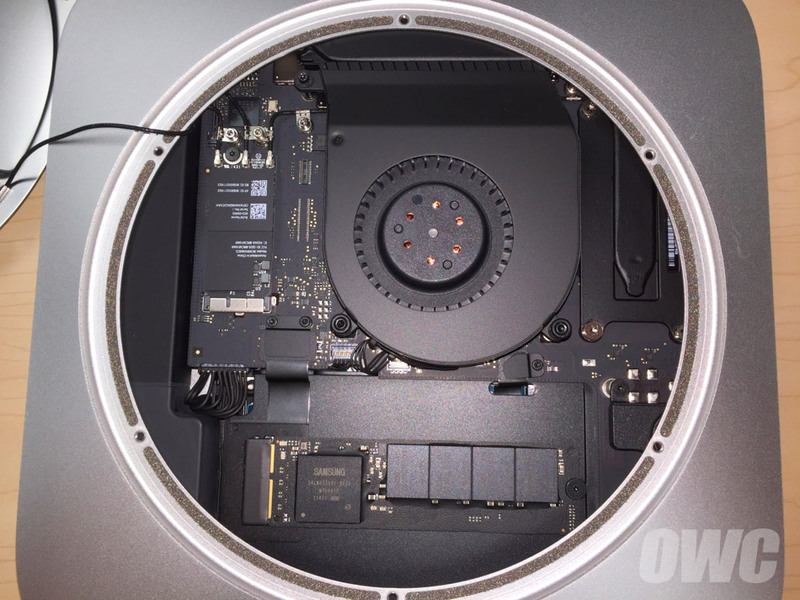 Your best bet is probably buying a Fusion drive model. 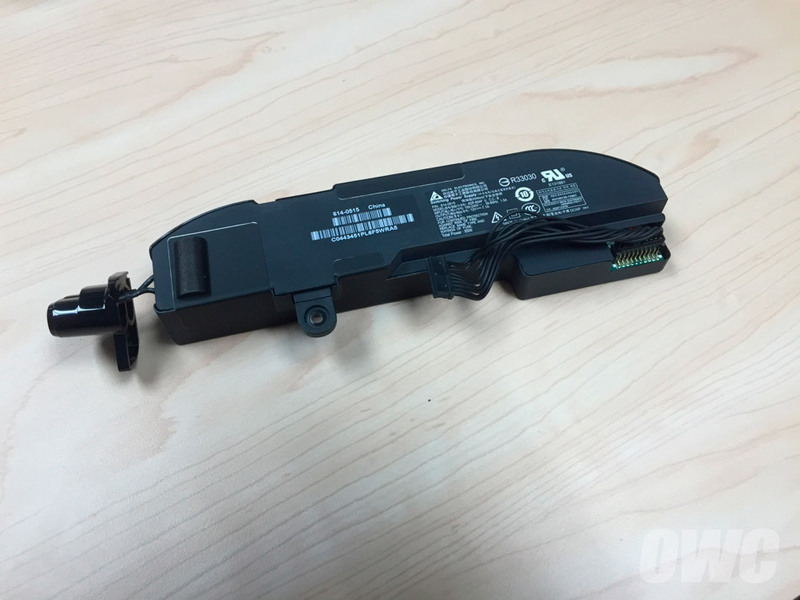 If you buy SSD (I did) you don’t get the SATA flax cable. If you buy SATA you don’t get the PCIe flex cable. 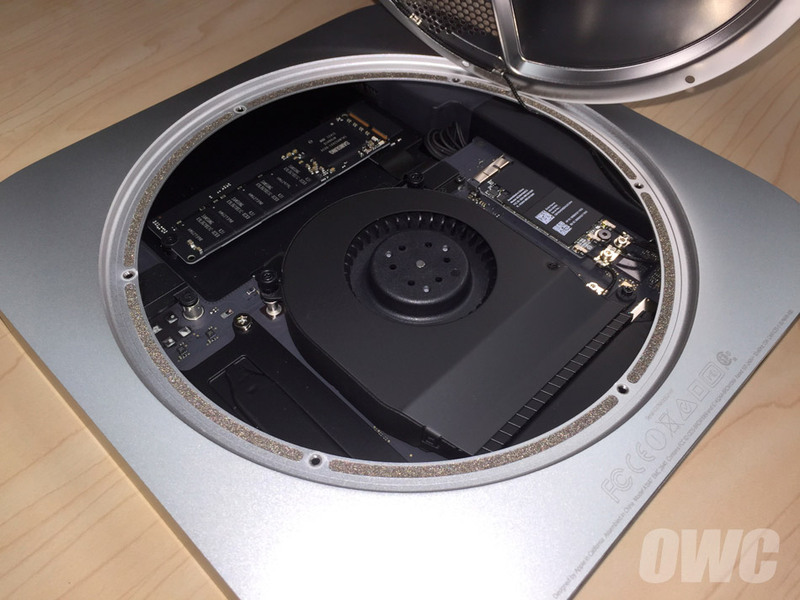 Looks like the Fusion drive model comes with both, so you could then add large SSD and large SATA. 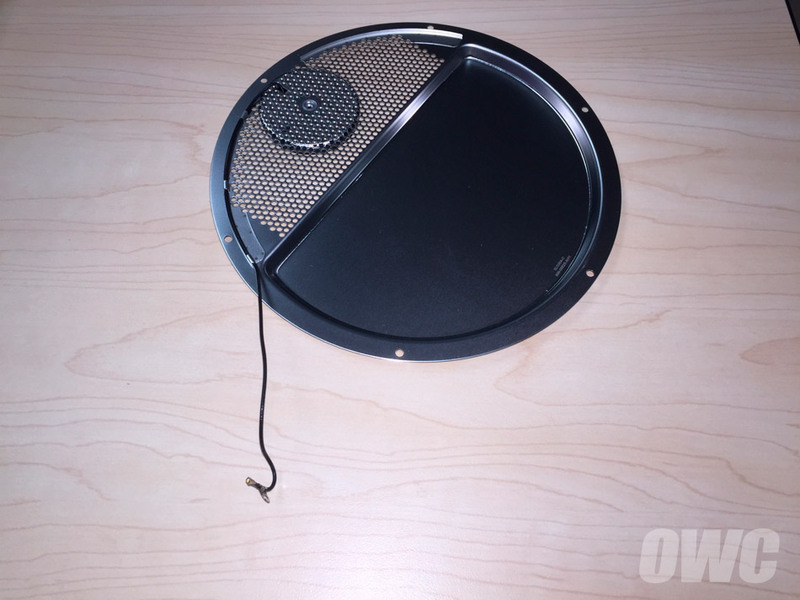 I’m hoping OWC will sell both cables eventually but until then I’m living with SSD and external bulk storage. I am facing the same issue. 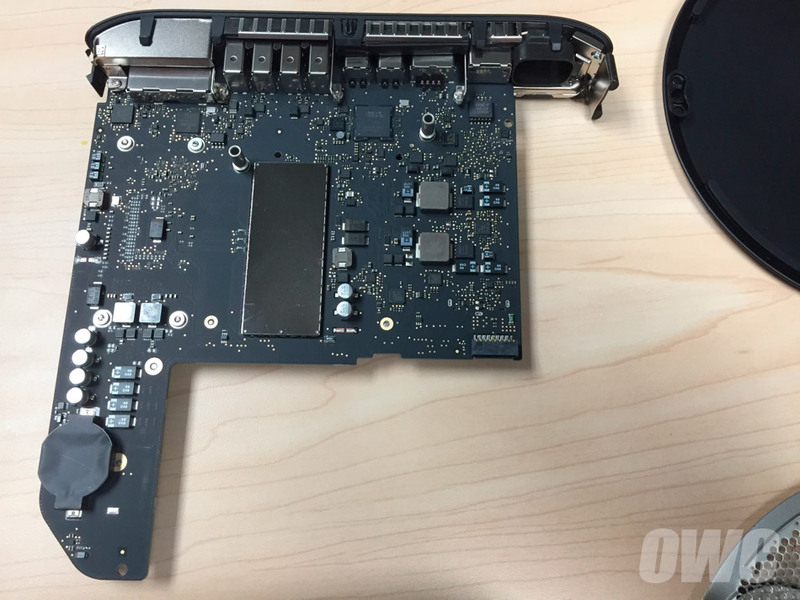 I just purchased a 1 TB SSD from Amazon and then realized that the Mac Mini I purchased doesnt have a SSD flex cable. Did you find any better alternatives to install the SSD ? 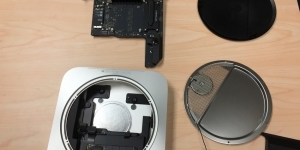 You need the Mac specific SSD. 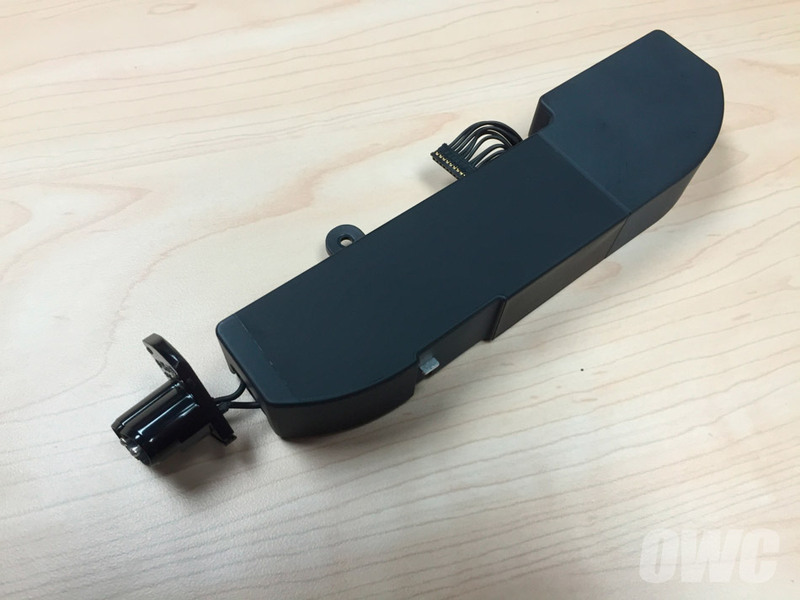 Is it as simple as buying a sata cable to put the Sata drive in the SSD only mini ? 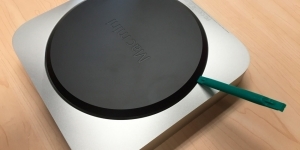 Would be a shame to buy the fusion model and then just toss the SSD that comes with it. 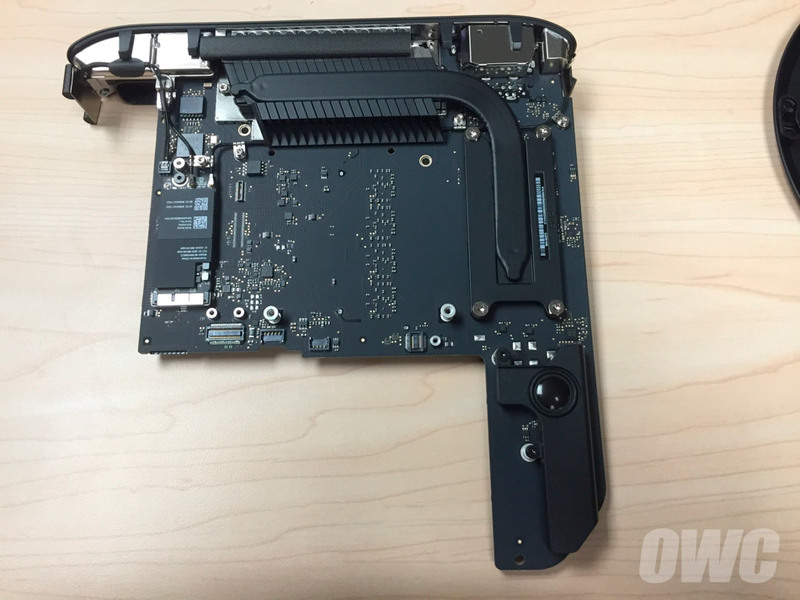 Will this use a standard PCI flash or is this blade proprietary to Apple? 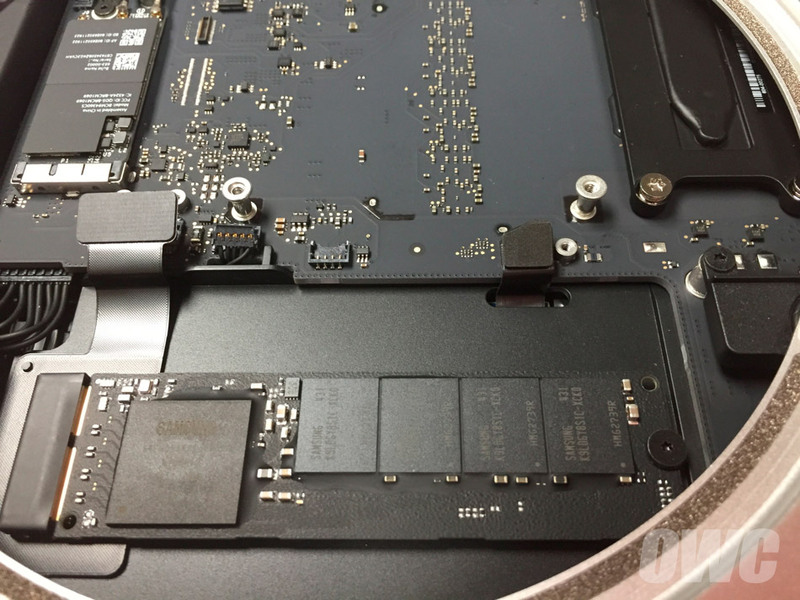 I thought the square/rectangular pcie connector was there to be used as well, based on the ifixit teardown. Was hoping for OWC to clarify this aspect and announce they’re looking at giving us an upgrade path there … instead they state if you don’t order the fusion model … no dual drives? 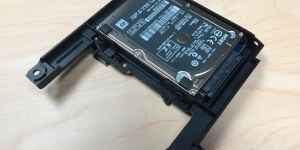 PLEASE try removing the SATA drive, then reformatting the SSD as a regular drive – then adding a plain SATA drive and seeing if both drives are recognised as independent volumes. The ability to have a SATA drive in addition to an independent SSD is very interesting, and you could certainly sell me a 1TB PCIe SSD module and a SATA cable so I can have 2TB or so inside my mini. 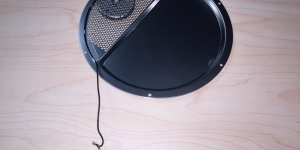 Did you try hooking 3 LCDs up to this system? What happened? 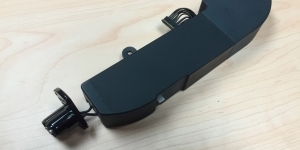 Will you be supplying the PCIe flex cable shown ? 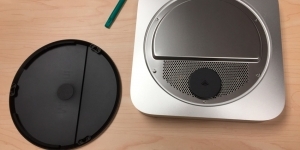 I have a macbook PCIe SSD spare and a 2014 macmini with a HDD I’d like to use it in . Hi Mark, we can’t speak about potential future products on the blog, but be sure to check back any official announcements. 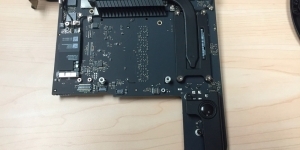 Actually looks like that part is for a SATA type Apple SSD not a PCI. the number of pins look different on the SSD end. 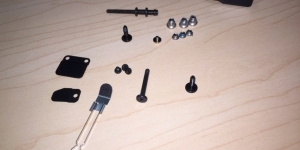 Try to google the part number and the the images. It seems to be the right one? Anyone who can confirm it? I have done this. Despite looking correct the pin count does not add up. The sata ssd blade drives have less pins on them than the pcie blade ssd’s i think ?!? 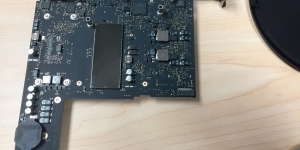 Iv’e purchased the ITB HDD model and notice it has the PCIe socket on the board, I also have a pcie SSD from a Macbook air 2013. 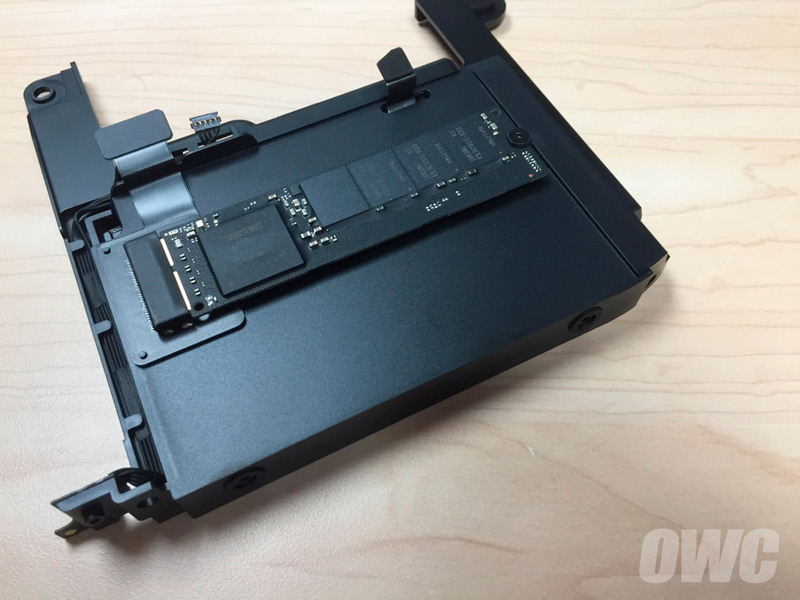 Do you have the part number for the flex cable to connect the two? will you be supplying it ? 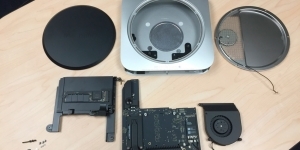 The SSD that ships with the Mac Pro is PCIe x4 while the Mac Mini is PCIe x2. Swapping them is not recommended. 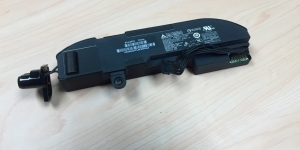 Could you specify the size of the HD and SSD-blade respectively? Are they 750 GB + 250 GB or what? Hi, it’s a 1TB HDD and 128GB SSD. 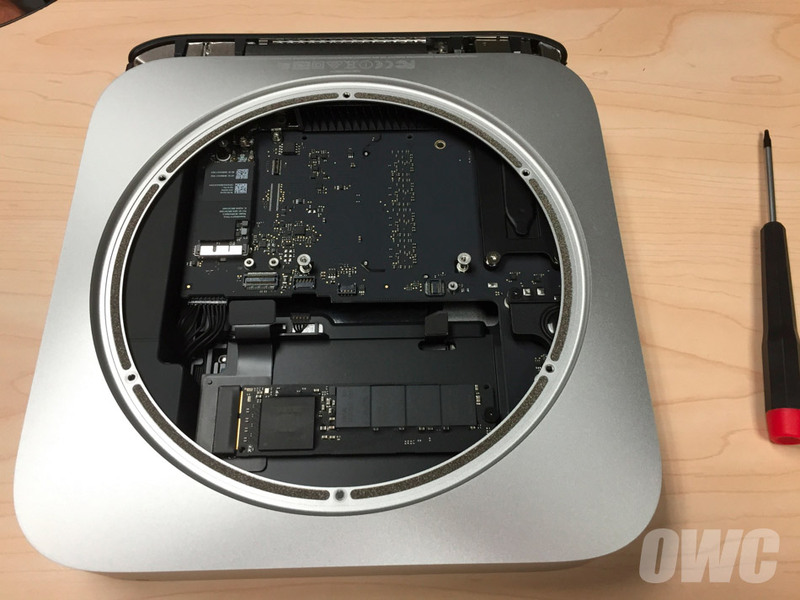 What size SSD comes with the Fusion drive? Is it still the small 125GB used in previous models? It’s the same 128GB SanDisk or Samsung. “Features” like soldered in RAM and grossly inflated prices for Apple upgrades mean I’ll be keeping my late 2012 Mac mini for a long time. Keep people like me in mind when your develop enhancement for it.